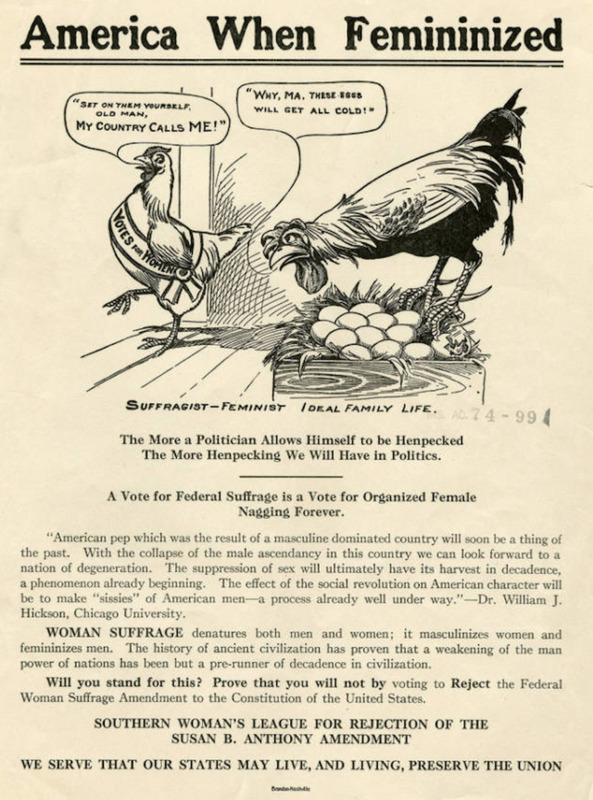 Looking back: The Anti-suffragists where right. Everything they warned us about did actually happen and now it's probably to late to save western societies. There was some smart people back then. Too bad the people who wanted to destroy America hired the best spin writers and psychologists to bamboozle the people.